It’s been a long gap after which I have started posting my old blog posts pending in my ever increasing drafts folder. Work has been crazy off late, leaving me with no time. However I have been cooking to my heart’s content in the last few weeks given the dinner parties I have been hosting for friends and family. Here’s a post I wrote when I was craving Mumbai street food. Read on to know how I found some yummy street food. I miss Bombay, also known as Mumbai, my home city and there are days when all I want is, to pack my bags and sit at Worli Seaface especially this time around the year. Anyone who is from Bombay will tell you this that Bombay rains are to die for. The scenic lush green cover that the city adorns itself in, the waves splashing against the shores, the odd teen selling cutting chai and chocolates to the lovey-dovey couples holding hands at the sea side, kids jumping in puddles of water on busy roads while returning back from school, the mums reprimanding them. The city has a character and the rains lend it one. The rainy season is almost over now but it was pouring cats and dogs in Bombay for the last week for so and talking to my folks back home, hearing them taking it easy and enjoying afternoon siestas followed by masala chai with onion bhajjis, I started missing home and the rainy season even more. I was craving Pav Bhaji and thus began my quest to look for the same. I turned to Twitter to ask for suggestions. Many options were floating like Sukh Sagar, Kailash Parbhat, Aamchi Mumbai, Mumbai Express. 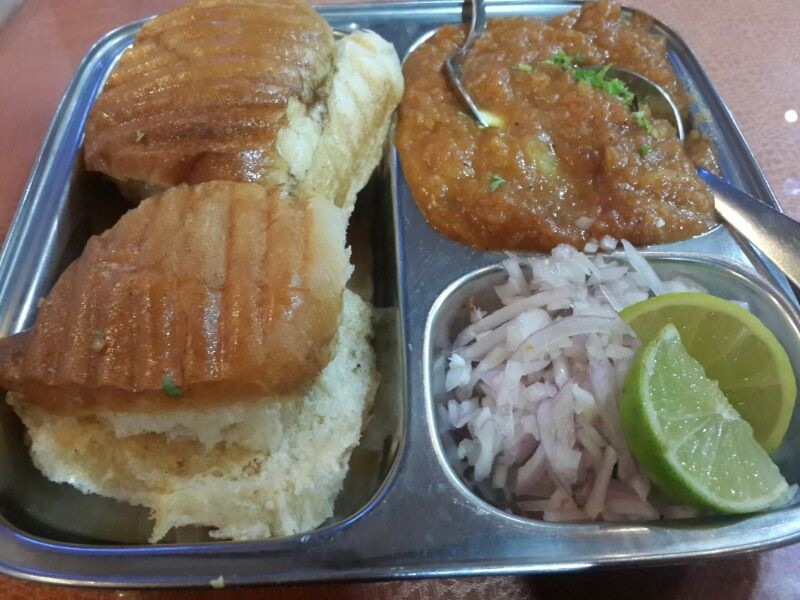 I have had Pav Bhaji at Sukh Sagar and Aamchi Mumbai and it was kinda average. I eventually went to Bombay Bites, it is based in Bank Street in Bur Dubai. The owner is from Mumbai and prides himself in his Maharashtrian roots. It started as a cafe where only snacks were served, I first had a Misal Pav and Vada Pav over there last year and never went back since it is a long drive from my place in JLT. 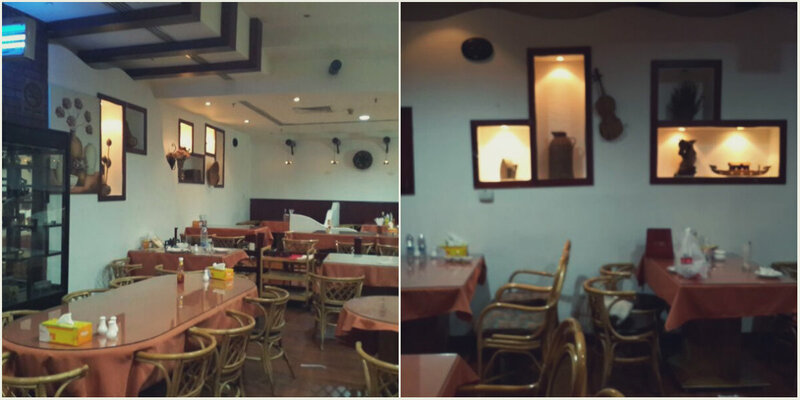 This time around we realized that they have taken over a bigger place and opened a full fledged restaurant next door. We tried their Pav Bhaji and it was yummy. It sure left me satisfied, if you after a fancy presentation and a fine dining experience this is definitely not the place to be. But it has got good flavorsome food. When I first paid them a visit, it was the mango season. 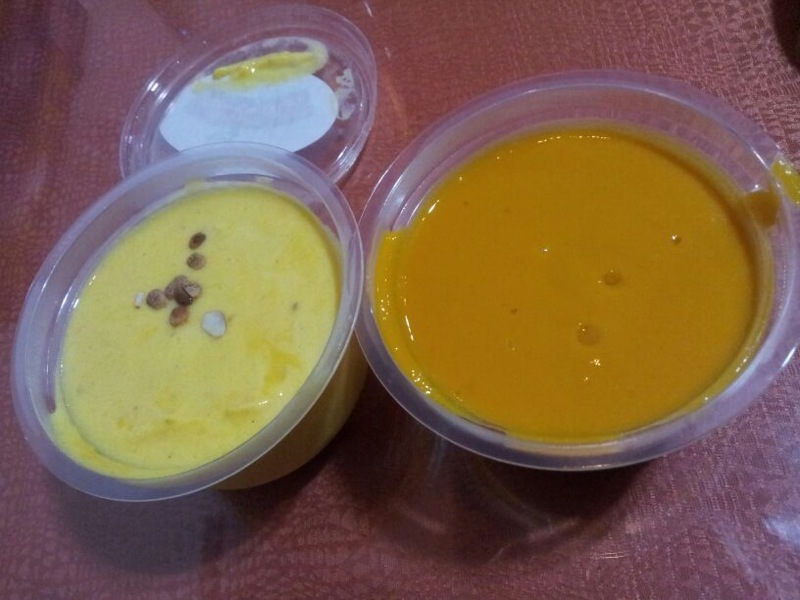 The owners had specially bought Alphonso Mangoes which are the speciality of Ratnagiri region in Maharashtra. The texture and flavor of this variety of mango is best for milkshakes, ice creams, preserves and smoothies. They had displayed the bounty just at the entrance to the restaurant, it was enough to make me salivate at the thought of ‘Aamras’. The Pav Bhaji came complete with tava (flat pan) roasted pao (Indian dinner rolls). The best thing about the bhaji is it is doused with spices and not subtle at all. It is really spicy and has the “Aaahaa” factor in every morsel. The complimentary finely chopped onions and lemon wedges play havoc on the palette. We went there again last week, this time around again we had the pao bhaji and followed it up with Kesar (Saffron) Dryfruit Milkshake, it was loaded with the goodness of nuts and a hint of saffron on top. It was quite a heavy option and Sahil did not touch my dessert later and this doesn’t happen ever! 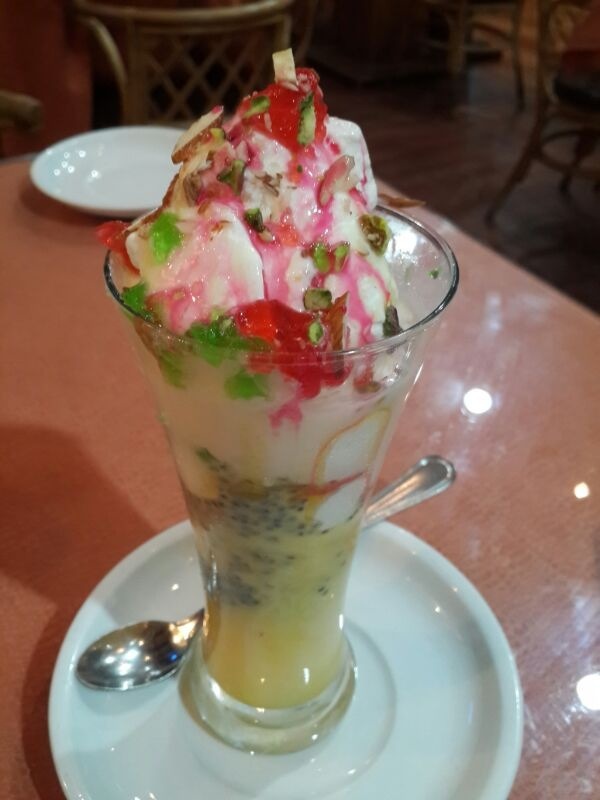 I was reminiscing about Juhu Beach hence ordered Kesar Falooda. It is a chilled dessert. 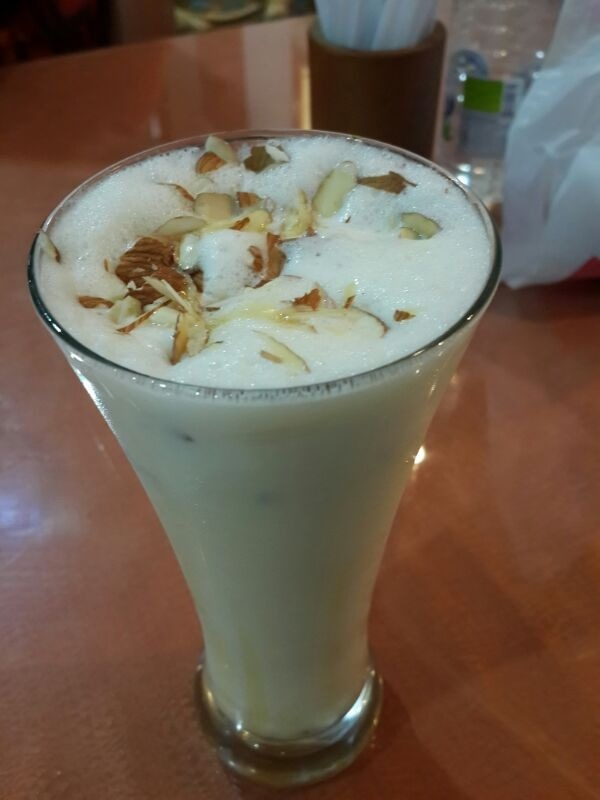 Again I was ecstatic with the result, a tall glass made a grand entry with even layers of fine vermicelli, basil seeds, pistachios, almonds, three scoops of vanilla ice cream, jelly, chilled sweetened milk, almonds and topped with rose syrup. Everything about this was wonderful. It was just perfect to be had after the spicy meal I had just devoured. I think in a city where you have many eateries promising you Mumbai style street food, this is one of best of the crop. It is priced very affordably. Finding a parking spot can be tricky on weekends, I usually end up here during weekdays. Chat up with the owners, they are a friendly couple. I spoke to them in Marathi and the conversations which followed had me walk out smiling!